For many of us a safari holiday is a dream come true. What can be better than getting up close to some of the world’s most majestic animals and capturing them on your wildlife camera? What many tourists get wrong is preparing for a safari holiday. Tourists can become so excited about seeing Africa’s wildlife and forget about being prepared. It might be obvious to say don’t forget your passport and VISA, but if you’re to reach your intended destination it really is crucial. Without the proper documentation you will be sent home with your tail between your legs. It can also be important to get vaccinations and other shots before you go, as some parts of Africa pose health risks to visitors. Travel insurance is of course recommended, and leaving a copy of the insurance policy at home means that a friend or relative can still lay their hands on a copy if your luggage or personal belongings are stolen. If you’re to pack wisely and effectively then you need to know what the weather conditions are likely to be like in your destination at the time of your trip. This allows you to pack the clothing best suited for the conditions you are going to encounter. Of course you can never write-off rain, so some waterproof gear should always be included. It can get cold at any time and especially at night, so a light jacket is probably required even during the warm summer months. Remember that you will be exposed to the sun a lot, so a wide hat, sunglasses and sunscreen are essential. The right equipment to bring on your safari holiday ultimately depends on what you plan to do when you get there. Most people are primarily interested in getting photographs of their favourite animals, as well as some shots of the African landscape and terrain. If that’s the case, then make sure you bring your best wildlife camera in a camera bag which protects the camera from adverse weather conditions and heavy handling. You’re going to be remembering your holiday for the rest of your life, and showing friends and family the photos, so the camera really matters. I did a bit of research on the web, and the options are vast. I reckon you’re probably best going for a specialist like Bush Wear, but someone else might disagree. I’m wondering whether durability should be considered over the quality of the photos? I suppose a good wildlife camera is the marriage of both these attributes. If you’re going on a hunting trip then it’s important to find out weapon arrangements. There may be some local hunting laws you should find out about. Safari trip organisers or guides can often supply hunting rifles. If they can’t, then you will need to consider buying or hiring them when you arrive, as it is very difficult to take any sort of firearm onto an aeroplane. Safaris are a great form of eco-tourism which allows visitors to understand the ecosystems and food chains of their destination. 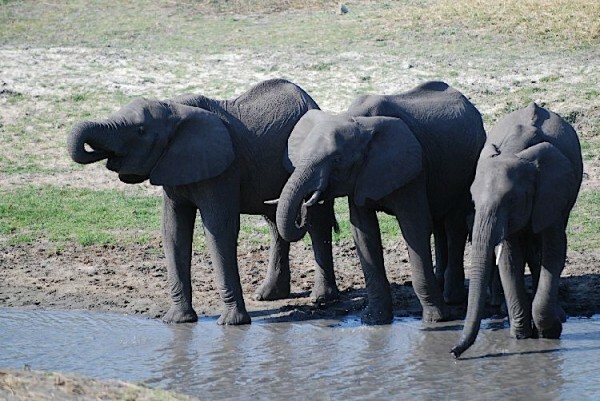 Many safari trips are set-up to help conserve African wildlife and preserve it for future generations. There’s no better opportunity to get up close to some of the world’s most amazing animals than a safari. Packing carefully and ensuring you bring all the necessary clothing, documentation and equipment will help to ensure your safari holiday goes smoothly. Knowing what to expect when you get there is a key part of being able to prepare effectively, so be sure to ask plenty of questions before you book.